In Ohio, a DUI charge is a serious offense and should not be taken lightly. If you’re convicted of a DUI, you could face penalties ranging from a fine all the way up to imprisonment. Understanding Ohio DWI and DUI laws is a critical step in moving forward. However, the legal system can be complicated, and determining which laws apply to your situation can be difficult. 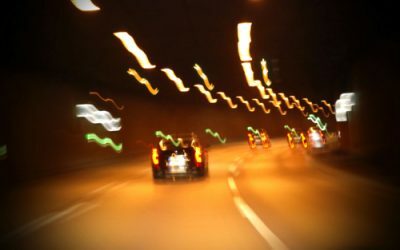 Here are the basic Ohio DUI and DWI laws that apply to the most common situations. Always consult your attorney for the most accurate information as it pertains to your case. In the state of Ohio, it’s always illegal to drive if your BAC level is 0.08% or higher. This law applies to every driver in every situation regardless of mitigating circumstances. However, other BAC limits apply, too, depending on your age and the type of license you’re driving with. Under 21 – If you’re under the age of 21, a BAC of 0.01% is illegal. If you’re pulled over and you test at this level or higher, it’s automatically considered to be illegal because you’re not at the legal drinking age. For those under 21, drinking at all is a crime. Under 18 – Any measurable sign of alcohol while driving a vehicle is illegal in the state of Ohio, and any charges filed will typically be handled in juvenile court. Repeat Offender – Ohio law varies when it comes to the acceptable BAC for repeat offenders. Consult your attorney for the most accurate information or the Ohio BMV. Aside from age restrictions, you’ll also face different sets of penalties based on your situation. 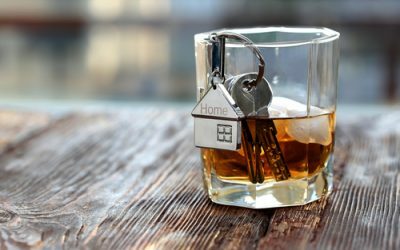 Ohio DUI laws assign different penalties to different drivers depending on how many offenses you’ve had in the past for driving under the influence or drunk driving. Other factors weigh into the nature and severity of your penalties, as well, but here are the general minimum penalties you’ll likely face depending on how many offenses you have prior to your arrest. In the state of Ohio, your first DUI offense can carry with it some steep penalties. Though they’re at the lowest end of the spectrum, they can still have a drastic impact on your life. Fines of up to $1,000 in fines. License Suspension that can last up to a year, including a three-year suspension for BAC test refusal. Imprisonment that can last anywhere from three to six months. IID Installation is not required for your first offense but may be an option if you have to undergo a lengthy license suspension. After your second offense, you’ll be faced with some or all of the following penalties. Fines ranging from $350 to $1,500. License Suspension of one to five years, with an automatic three-year suspension for BAC test refusal. Imprisonment lasting from 10 days to a year. IID Installation is not required, but you may be able to opt for it if you’re facing a lengthy license suspension. If you receive your third DUI charge or conviction in Ohio, DWI laws state that you could face any combination of the following penalties. License suspension of one to 10 years with an automatic five-year suspension if you refuse the BAC test. Repeat offenders who obtain four or more DWI or DUI convictions in Ohio will be met with any combination of the following penalties. Fines ranging from $800 to $10,000. License suspension ranging from three years to permanent suspension. Imprisonment lasting from 60 days to a year. Most DWI-related violations in Ohio will result in license suspension. In some cases, you can become eligible for a special restricted license which will allow you limited driving privileges before your suspension is up. While there’s no special license for restricted privileges, you might be able to regain some of your privileges if you agree to an IID installation. As always, it depends on your specific case, so ask your attorney if that’s an option for you. If you’ve been convicted of a DUI in Ohio and you’re required to install an IID, that installation will be initiated by a court order. Once you have the court order you can go to a state-approved and registered service provider for your IID installation. 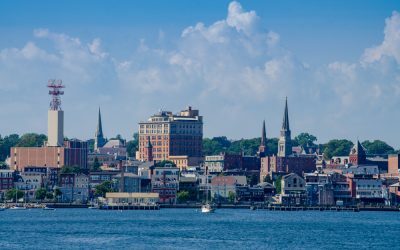 Depending on your county and unique situation, your court order may require you to have an IID installation that comes with a DMV connection. Only a state-approved and registered service provider will be able to fulfill the court order and help you get back on track. Keep in mind that only a state-approved vendor can report your results, track your progress, send updates to the DMV, and properly install your IID. To avoid further penalties, expenses, and setbacks, make sure the vendor you choose is approved by the Ohio State BMV to install IIDs. Keep in mind that having an IID doesn’t always mean you have full driving privileges. Some drivers are limited to certain locations or can only drive during certain times of day, so make sure you know what your specific restrictions are before hitting the road.